Here are 32 healthy, real food pumpkin recipes that will take you from breakfast to dessert. Most recipes are also gluten-free and dairy-free! This delicious member of the squash family is packed full of nutrients and a wonderful source of fiber. 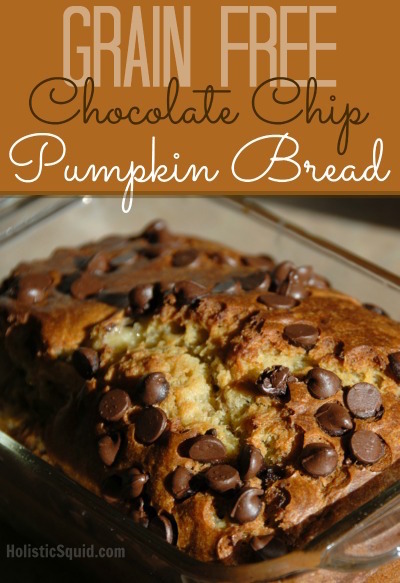 So eat up and enjoy pumpkin season while it's here! How about a breakfast that tastes like dessert? 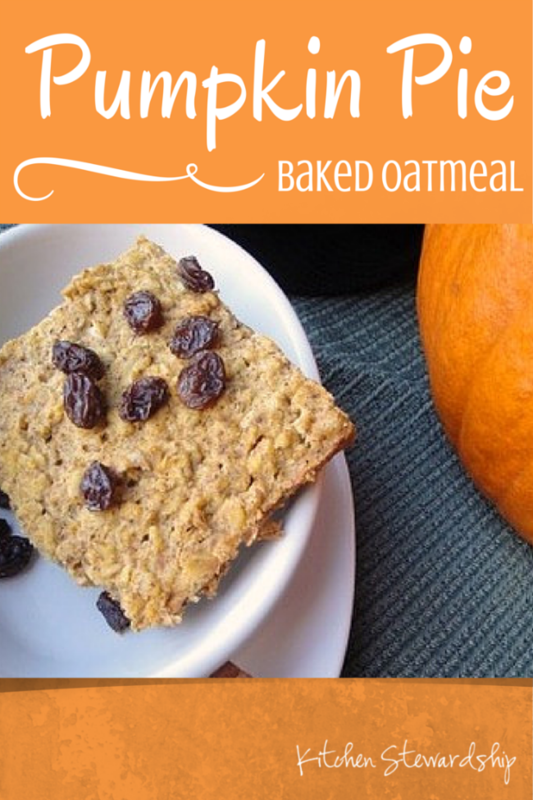 This Pumpkin Pie Baked Oatmeal will fit the bill! Via Kitchen Stewardship. 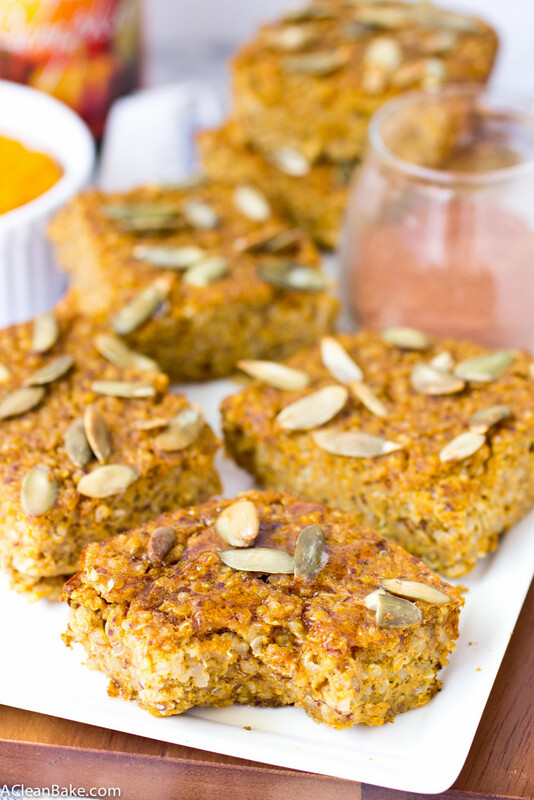 Paleo Pumpkin Quinoa Bars make a great gluten-free alternative to baked oatmeal. Via A Clean Bake. 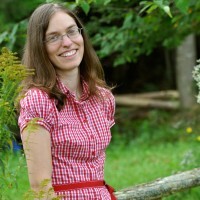 Eating grain-free? 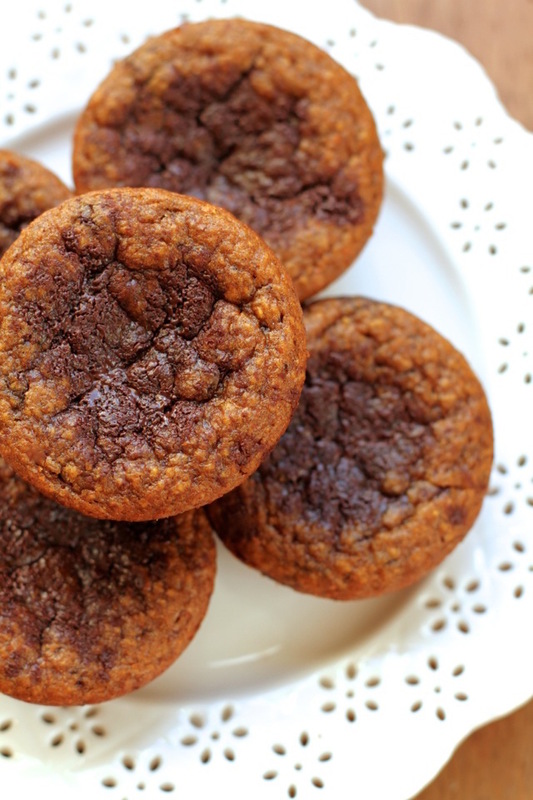 No problem with these Flourless Pumpkin Pie Muffins. Via Running with Spoons. 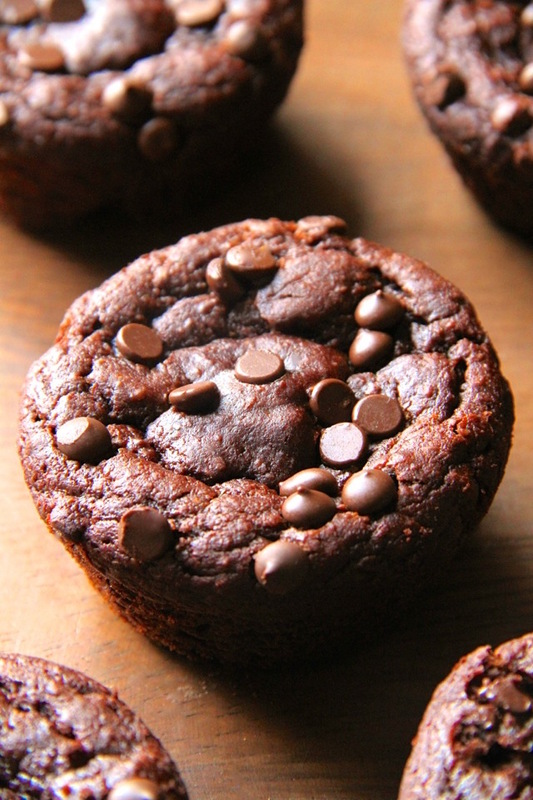 These Flourless Chocolate Pumpkin Muffins would also make a great dessert or lunchbox treat! Via Running with Spoons. 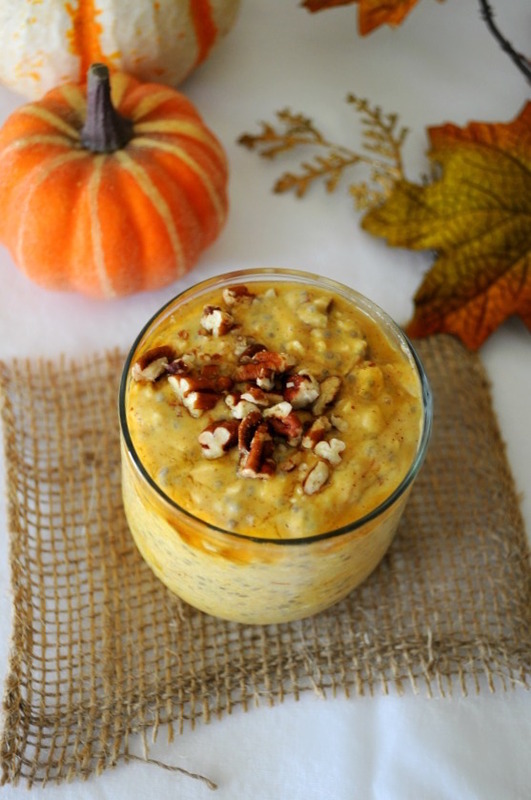 This Pumpkin Pie Overnight Oatmeal includes the goodness of oatmeal, yogurt, and chia seed to keep you feeling full all morning long. Via Kim's Cravings. 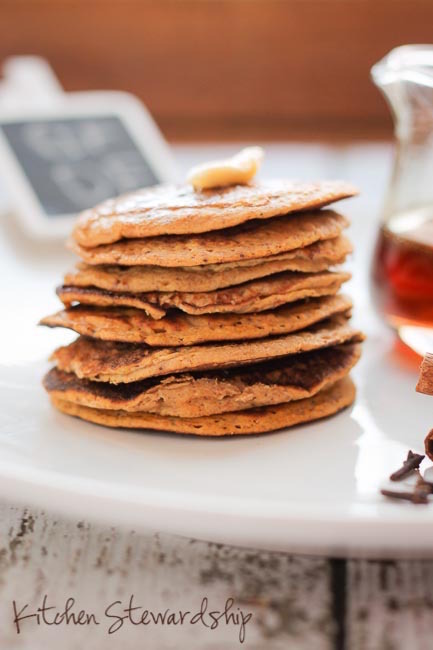 Orange Vegetable Pancakes feature pumpkin, but could also be made with any orange squash. They are also grain-free! Via Kitchen Stewardship. Want something fancier for breakfast or brunch? 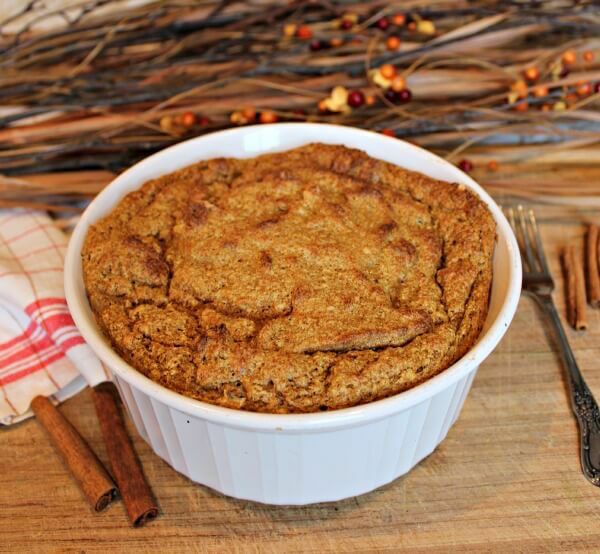 How about this Pumpkin Souffle? Via Primally Inspired. 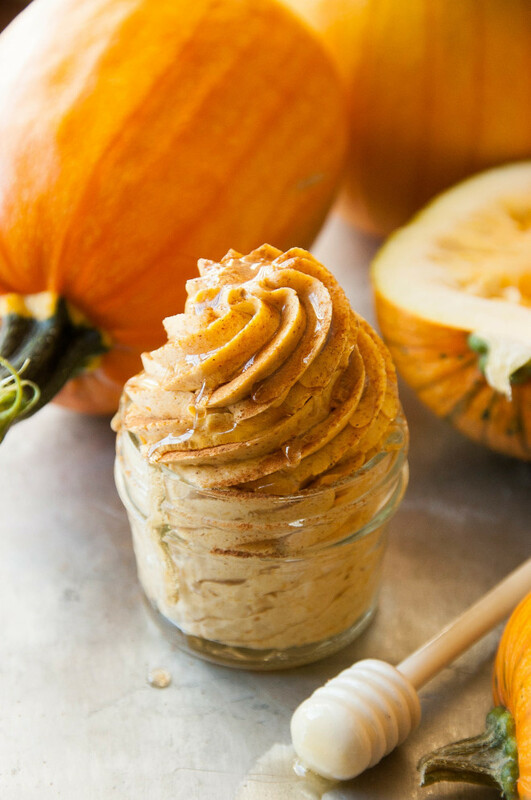 Add fall favors to any meal with Whipped Cinnamon Pumpkin Honey Butter. Via The Kitchen McCabe. This Pumpkin Bread with Chocolate Chips isn't like your grandmother's recipe — it's completely grain-free! Via Holistic Squid. 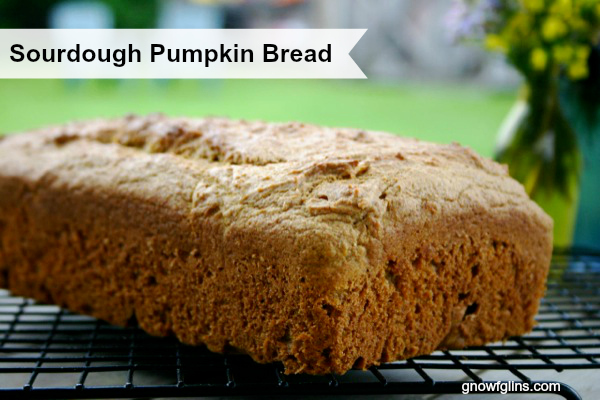 This Sourdough Pumpkin Bread can also be used to make muffins. Via Traditional Cooking School. 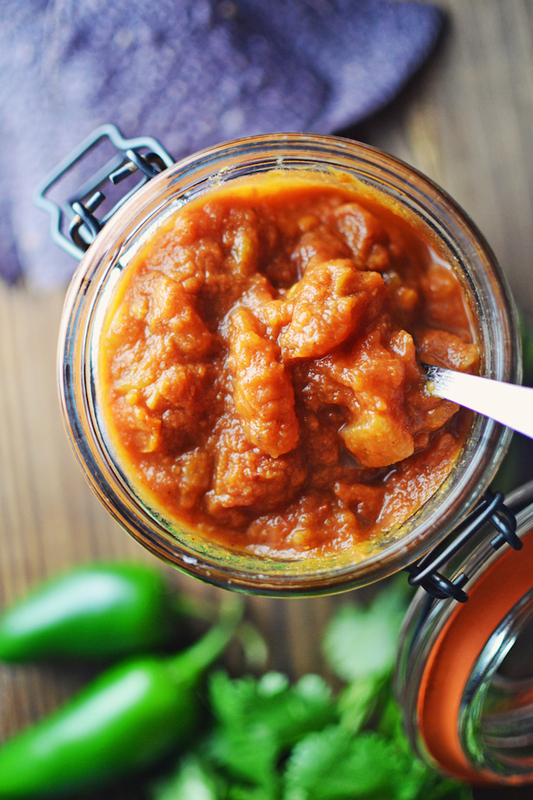 Add a little zip to your meals with Pumpkin Salsa. Via Little Figgy. 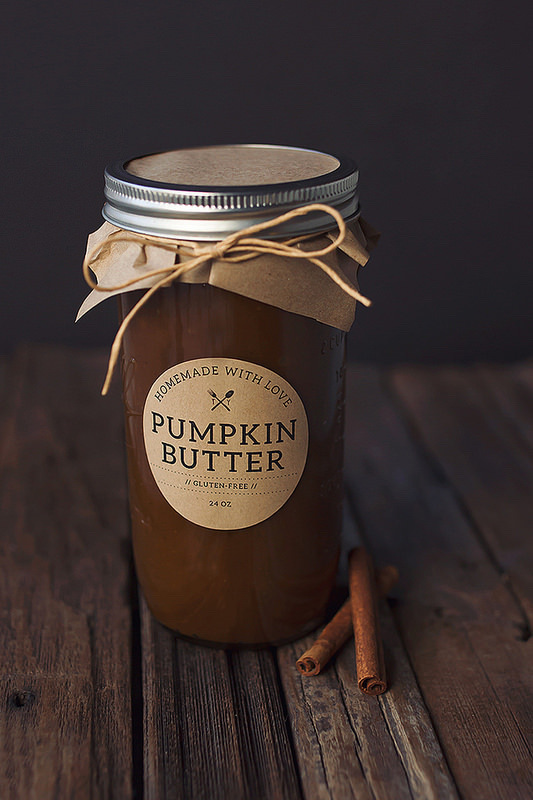 Crock Pot Pumpkin Butter — the label is a free printable! Via Tasty Yummies. 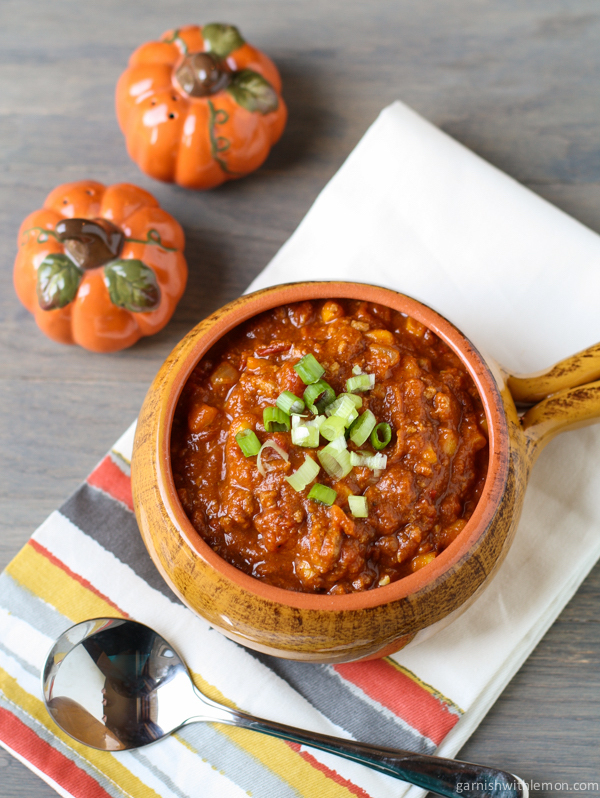 Warm up on a cool fall day with Turkey Pumpkin Chili. Via Garnish with Lemon. 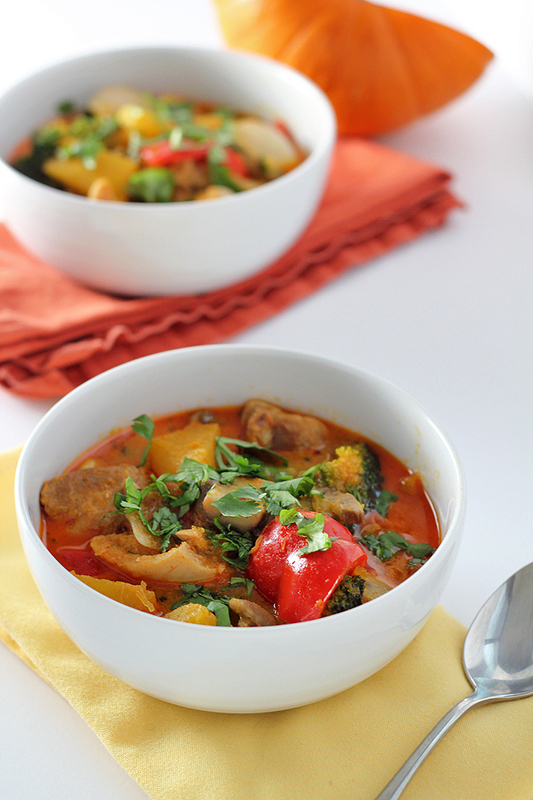 Thai Pumpkin Curry incorporates fresh chunks of pumpkin instead of pumpkin puree or canned pumpkin. Via In Sonnet's Kitchen. 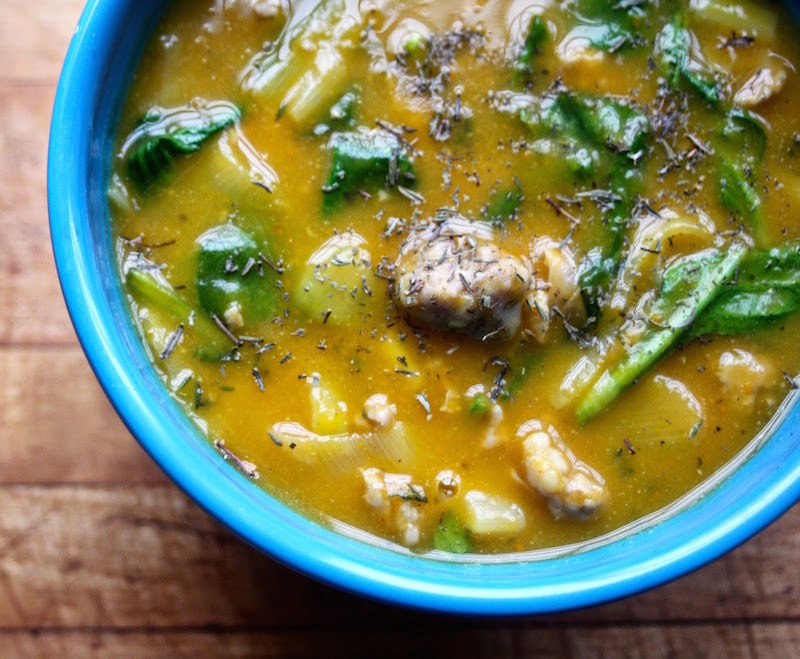 Paleo Pumpkin Sausage Soup also includes fresh spinach and is safe for AIP diets. Via Beyond the Bite. 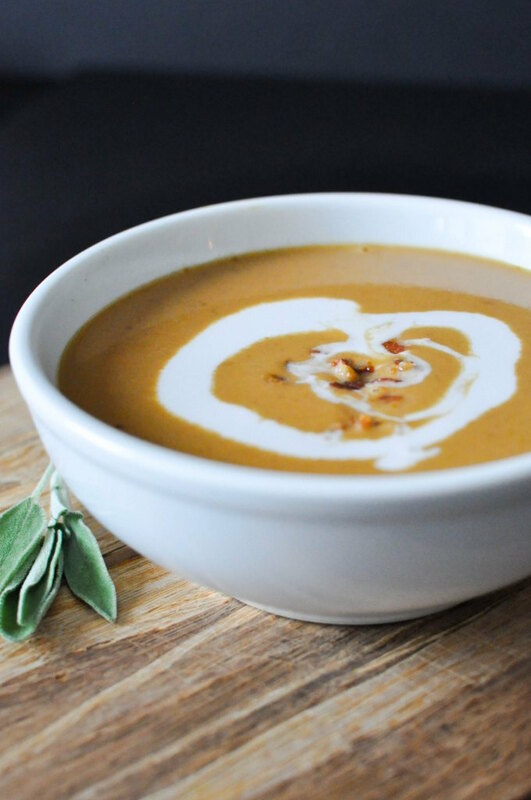 Creamy Paleo Bacon Pumpkin Soup — creamy and warm with bacon! What's not to love? Via Fed and Fit. 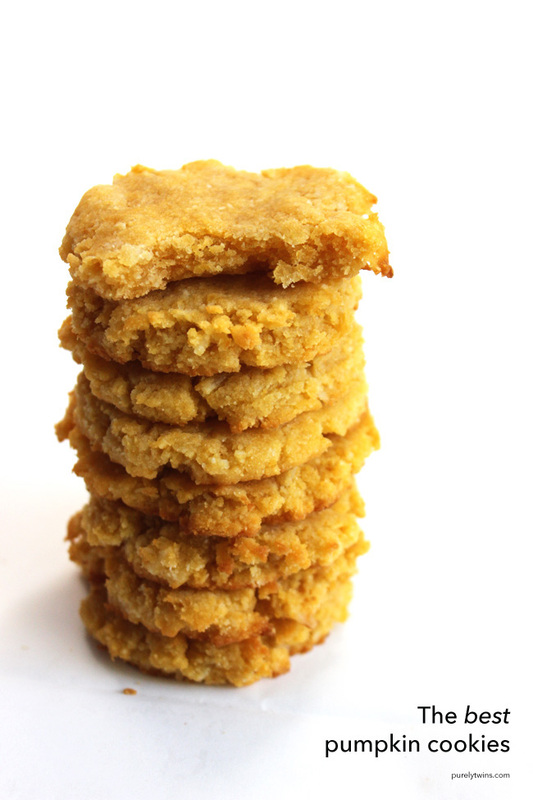 Gluten-Free Soft Pumpkin Cookies have only about 1/3 teaspoon of honey per cookie! You might even sneak one in for breakfast! Via Kitchen Stewardship. For a quick and easy treat, try 5-Ingredient Pumpkin Cookies. They are also free of grains, gluten, and eggs! Via Purely Twins. 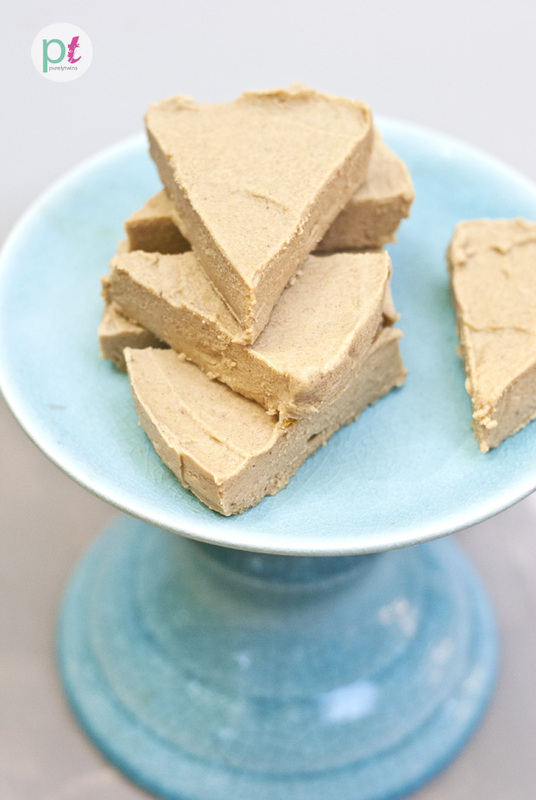 Healthy and fudge don't usually go together, but in this case they do! 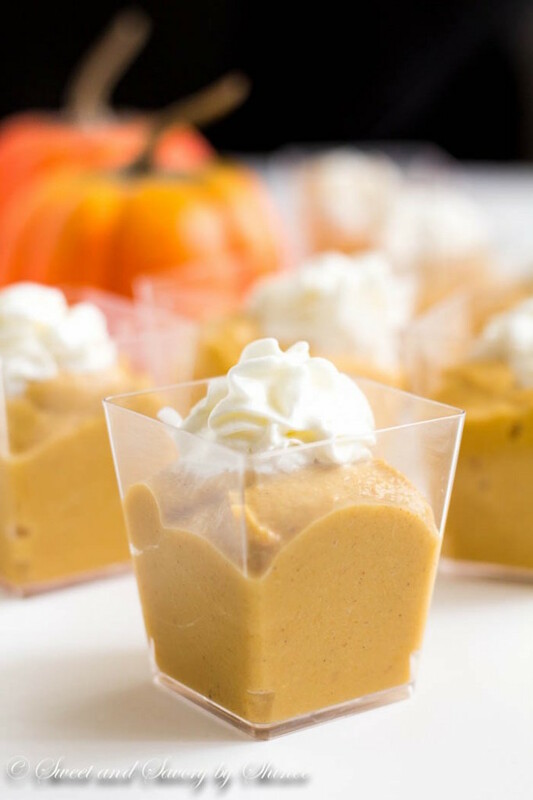 Try out these Healthy Fresh Pumpkin Pie Fudge. Via Purely Twins. 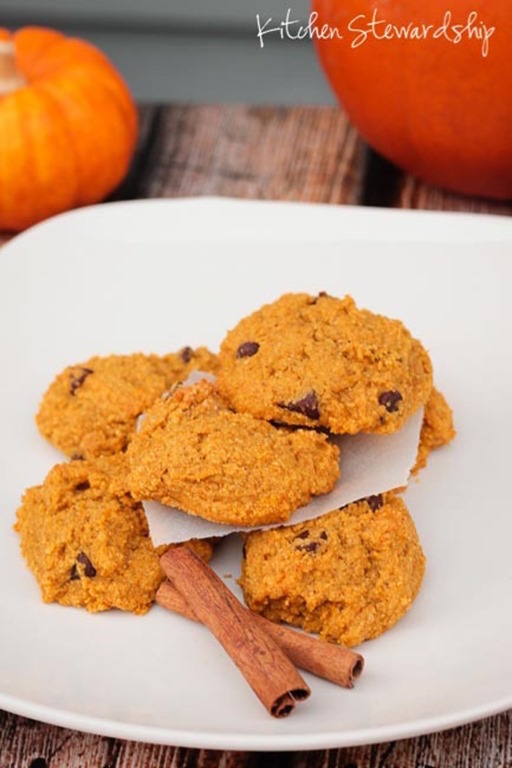 Another pumpkin cookie recipe! 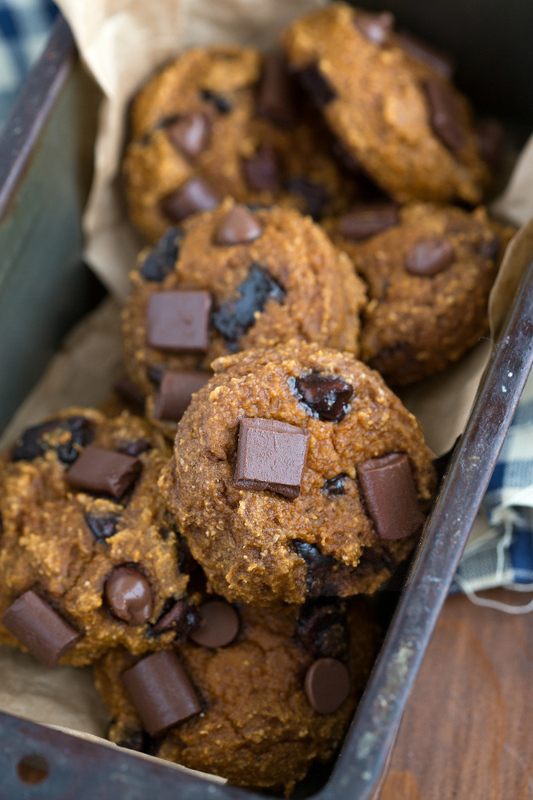 Flourless Healthy Pumpkin Chocolate Chip Cookies via Chelsea's Messy Apron. No sugar? No problem! 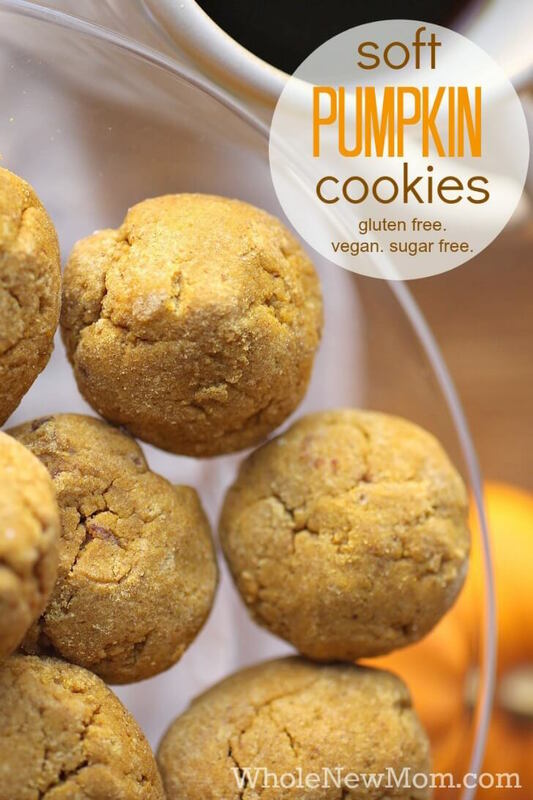 Vegan, Sugar-Free, and Gluten-Free Pumpkin Cookies via Whole New Mom. A pretty dessert to end a fall feast! Pumpkin Pudding via Sweet and Savory by Shinee. 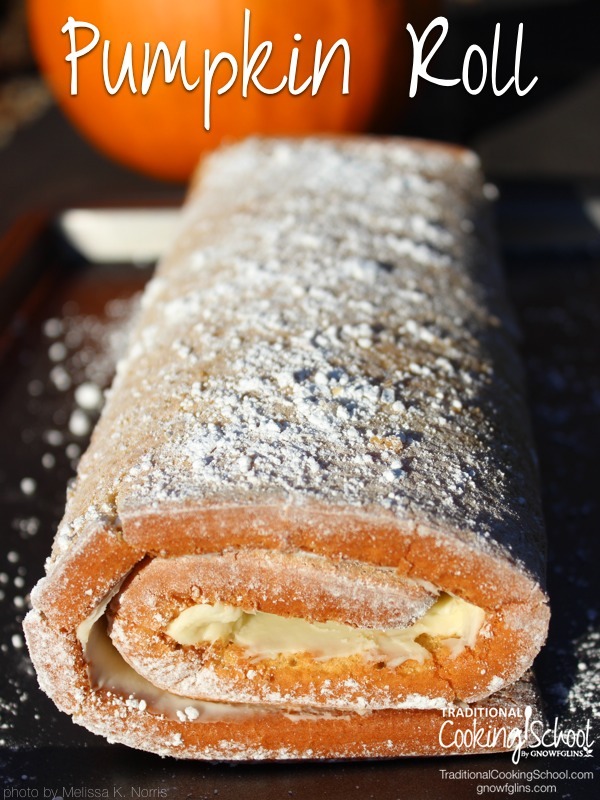 A traditional dessert with a pumpkin twist — a Pumpkin Roll via Traditional Cooking School. 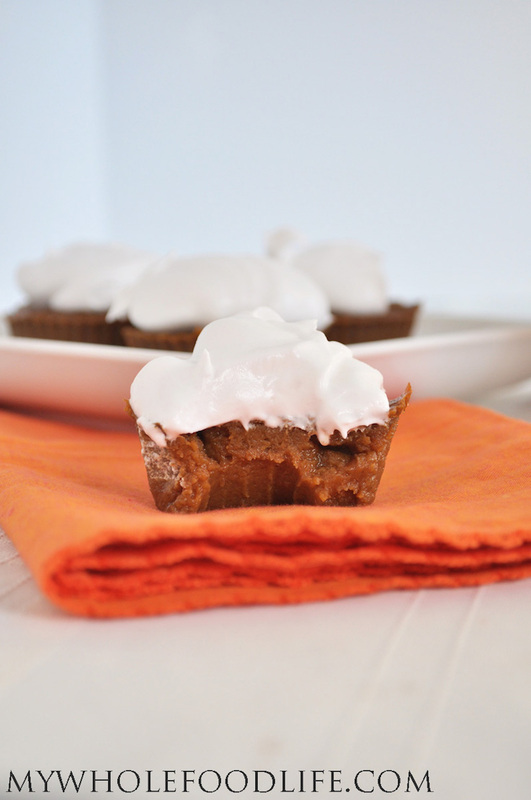 Paleo Pumpkin Pie Cupcakes complete with coconut cream. Via My Whole Food Life. 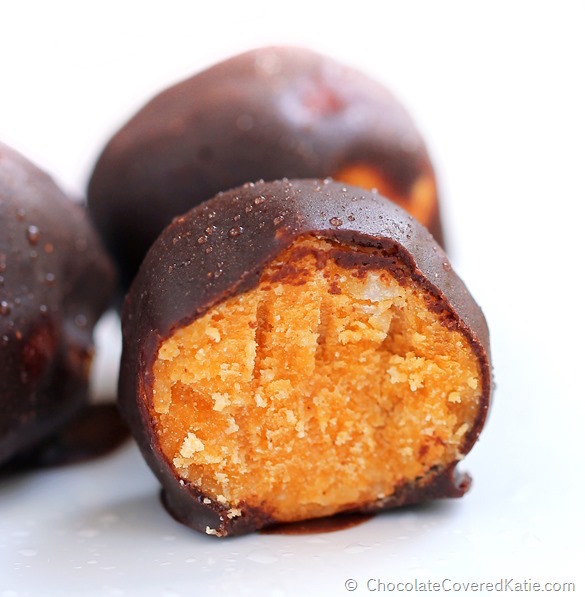 Pumpkin Fudge Balls — be warned, they may be addictive! Via Chocolate Covered Katie. 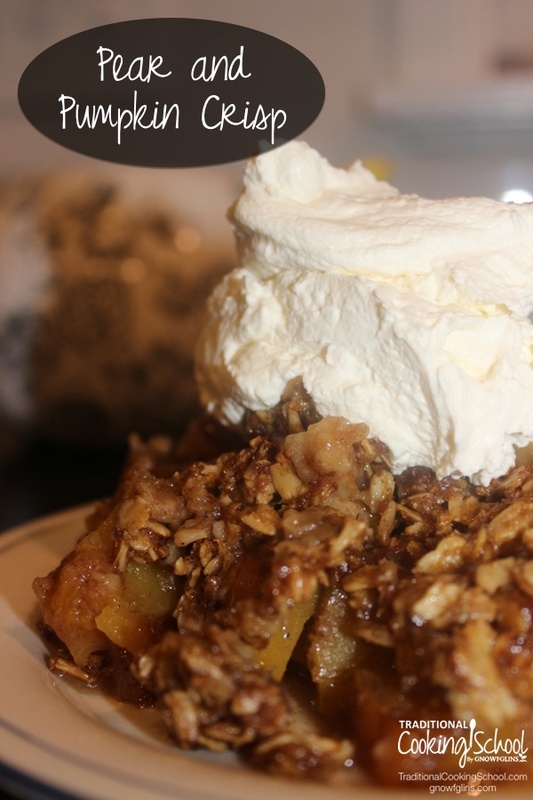 This Pear and Pumpkin Crisp is a family favorite with flavors of fall. Via Traditional Cooking School. Wow dinner guests or family (or both!) 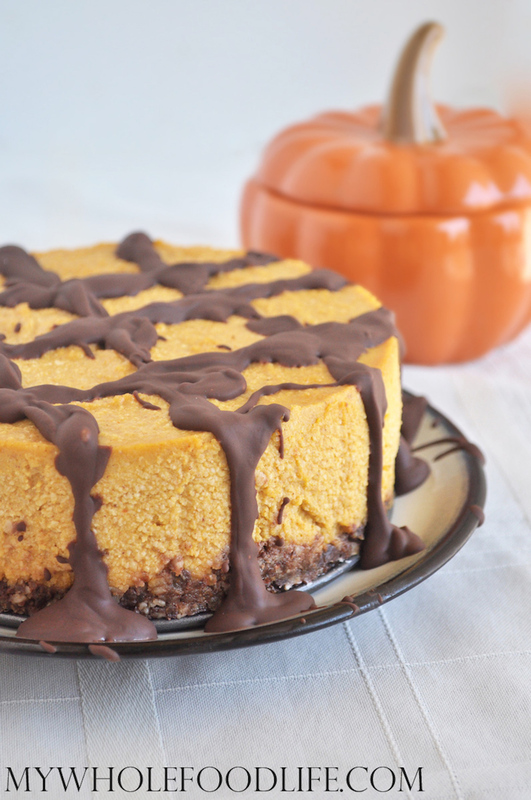 with Pumpkin Chocolate Cheesecake. Via My Whole Food Life. 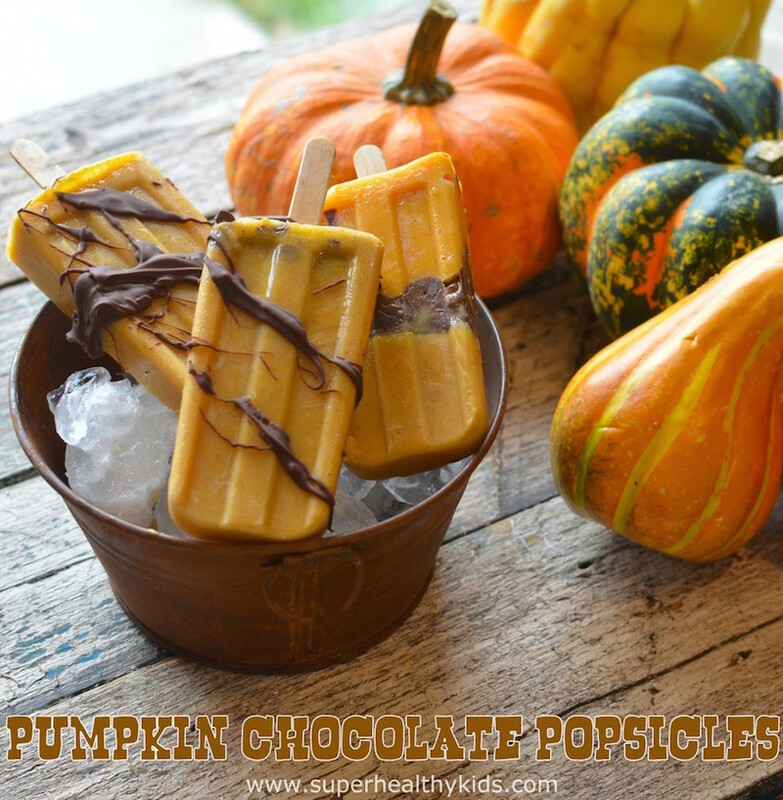 Pumpkin Chocolate Popsicle is a cool treat for warm fall days! Via Super Healthy Kids. 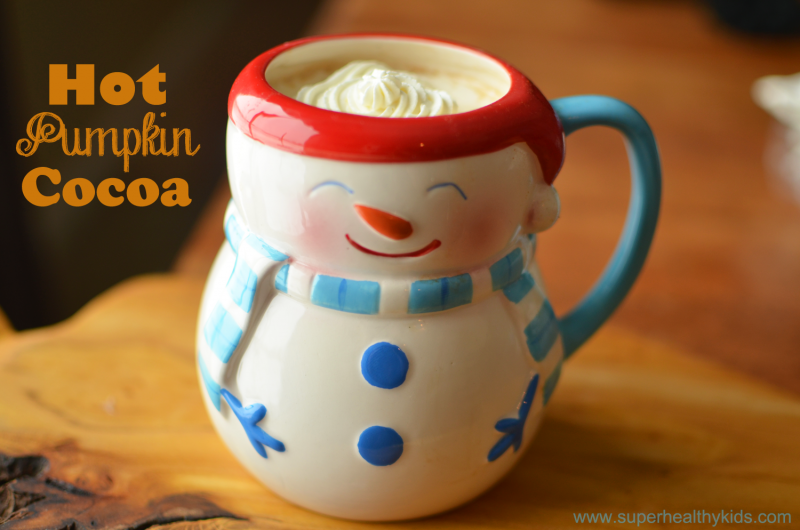 Hot Pumpkin Cocoa is for all those cool fall evenings! Via Super Healthy Kids. 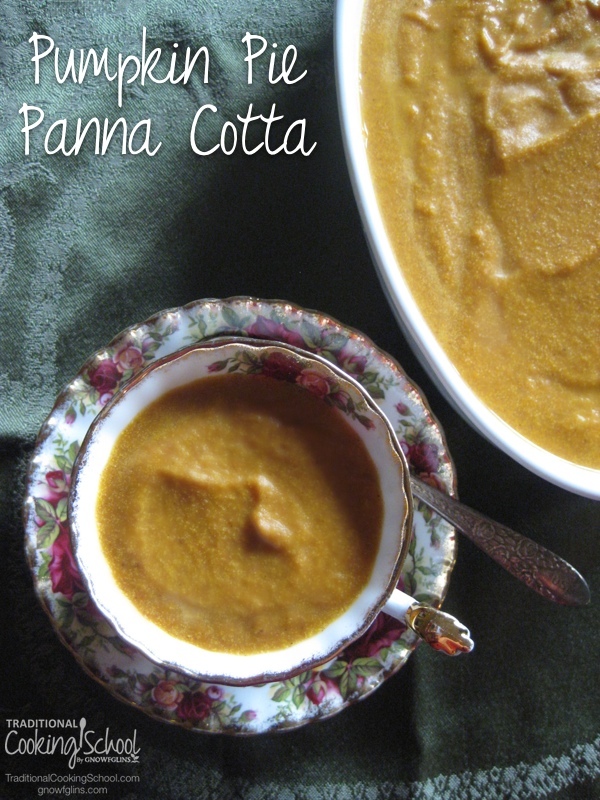 Pumpkin Pie Panna Cotta can be made in as little as 5 minutes! Via Traditional Cooking School. 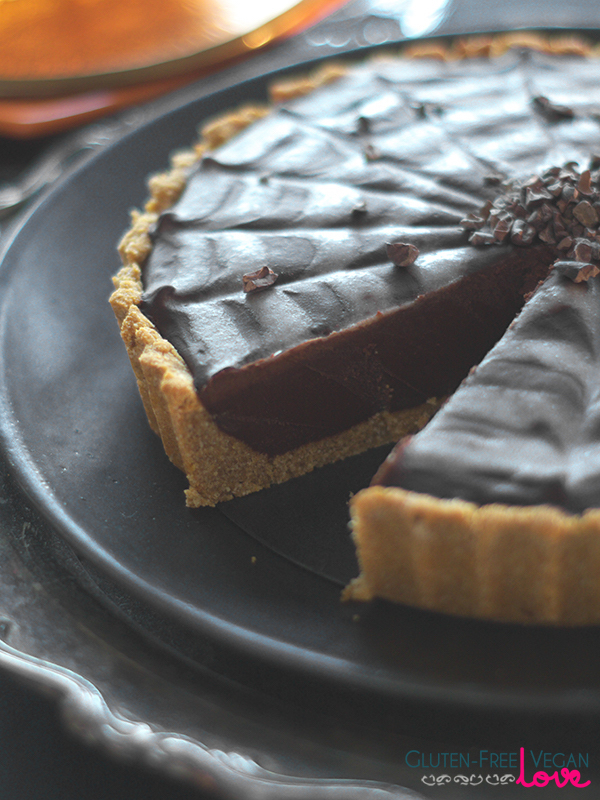 This Chocolate Pumpkin Tart is another beautiful dessert to wow friends and family! Via Unconventional Baker. 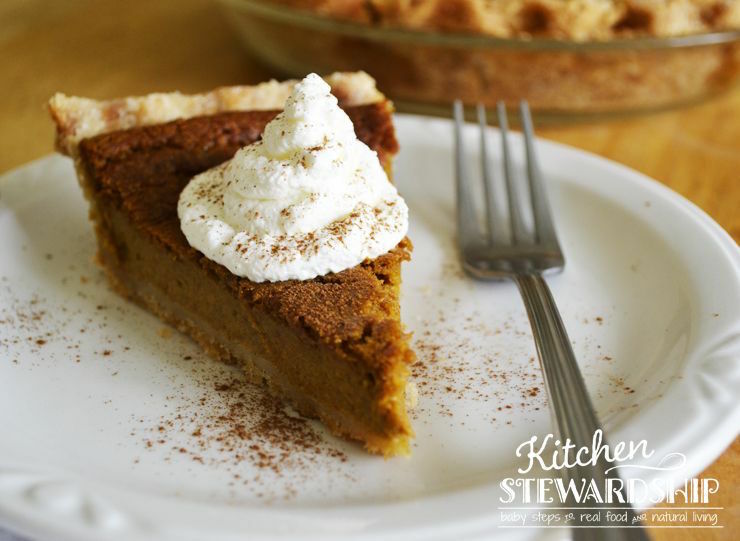 We had to end with a traditional favorite — Healthy Pumpkin Pie via Kitchen Stewardship. What are some of your favorite ways to enjoy pumpkin? Thank you for including my recipe in this wonderful roundup! There are some really amazing dishes here! Thank you so much for sharing my pie. I love this collection so much — those pumpkin chocolate pops look amazing!